Corporate law starts with the choice and structure of your legal form (sole proprietorship, V.O.F. [limited partnership], CV [general partnership], partnership, B.V. [private limited company]) and ends with the sale, liquidation or bankruptcy of your company. In between, you will need to define the contractual relationship with your business partner(s) and expand it by acquiring a company or starting a joint venture etc. Sometimes problems arise in the cooperation with your business partners. When that happens, we are here to help you. 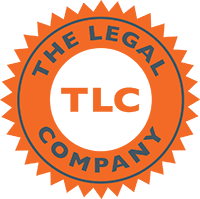 Call or send an email to our experts H. Vercammen, LLM of Kim Reijnen, LLM on +31 (0)20-3450152 of hvercammen@thelegalcompany.nl or kreijnen@thelegalcompany.nl. Do you need help drawing up your shareholder agreement or assessing it in the event of a shareholder conflict? Please contact us. Do you need help choosing or setting up your B.V., V.O.F., CV or partnership? Please contact us.